Discover our range medicals plants, rares seeds, atypicals, exotics plants, ethnobotanicals seeds from around the world! Fresh seeds medicinals seeds rares ethnobotanicals shamanics seeds and cacti. 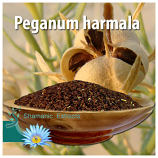 Several plants or seeds in the categories below have been used for their said either psychoactive, mind-expanding, sedative, tranquilizing and/or stimulating properties, and several are used in the pharmacy for their medicinal values.